So we are having a Fondue part, heart shaped cookies and a few other snacks! Deliciously chewy, sour and sweet Sour Jacks are the perfect candy for those who love all things sour! The delicious, chewy, sour and sweet pieces are full of fruit flavor and bursting with sour power! 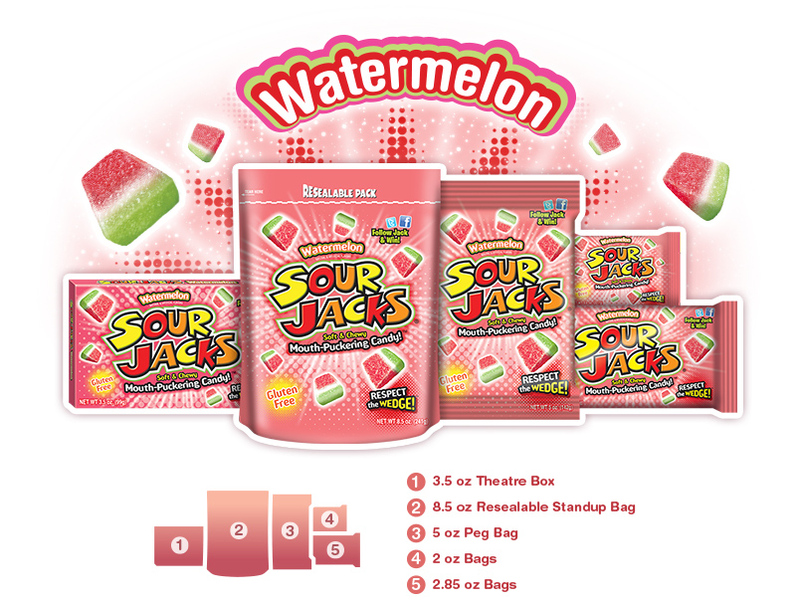 Discover the mouth-puckering sour flavor of Sour Jacks Original, Watermelon, Lemonade, Wildberry and Green Apple. Only Sour Jacks® delivers a maximum sour taste with flavor-packed wedges that will turn your taste buds up to a whole new level. We are all pretty big fans of sour candy in my house and these are so good!! The perfect bite size and they are bursting with flavor! I hate Green Apple so I was pretty excited to see they come in several flavors. This was my first time eating these and now I am addicted!! The bread is so moist and so yummy! 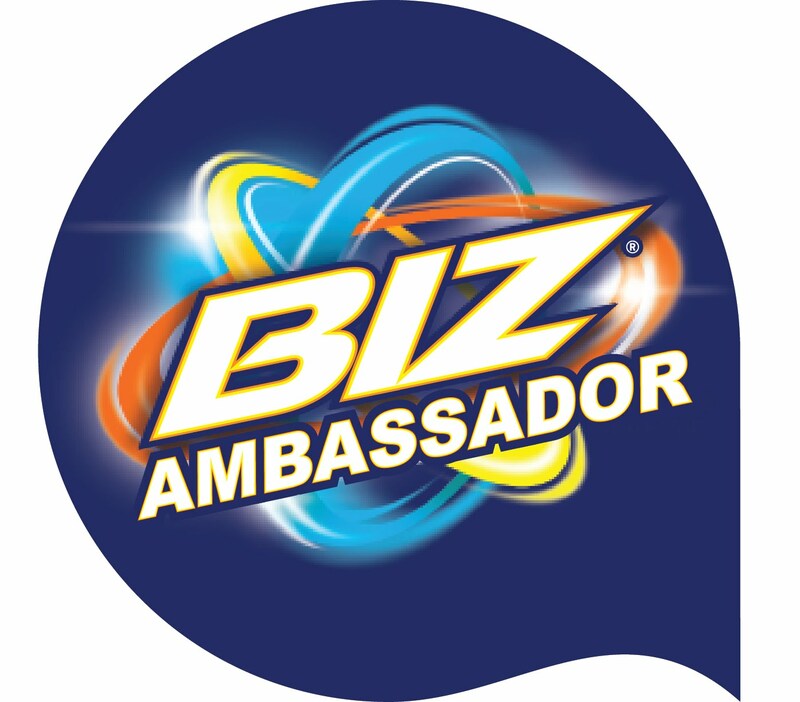 I was checking out their site and there is so many flavors. They are over baked, all natural and made with real butter. If you are planning some sort of fun Valentines day party with your little ones anything on the list above is sure to be a big hit! 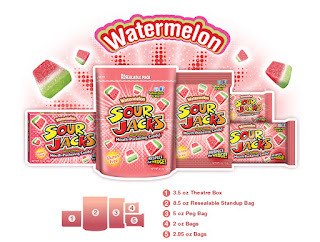 Especial the Sour Jacks! 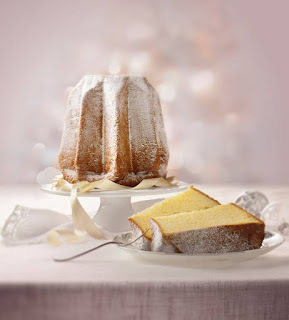 I have to buy more for our party because my boys devoured them already! !